21 Dec – Over 150 Iranian Christians have been detained in the past month and arrests are expected to continue over the Christmas holiday. Those arrested include Amir Taleipour, 39, and his wife Mahnaz Harati, 36, who were arrested in front of their 7-year-old daughter during a raid on their home in Mashhad. The couple has not been allowed to speak with relatives or lawyers since the arrest. Sources explain that these arrests in the officially Shia Muslim country normally spike during December when more Iranians are attracted to Christianity, as Iran hopes to intimidate potential converts away from the religion. However, arrests have been especially severe this year, with some speculating that security branches who fear losing money in the new budget are trying to show how effective they can be. While Shia Islam is Iran’s official religion and bases its laws on the mullahs’ interpretation of Sharia, the constitution recognizes Zoroastrianism, Judaism and Christianity as official religious minorities. However, according to the US State Department’s International Religious Freedom Report, it also specifies the death penalty for “proselytizing”, attempting to convert Muslims, “enmity against God”, and “insulting the prophet [Muhammad]”. Windsor said that these continuing arrests are increasing fear and limiting the flow of information, noting that most Christian arrestees are falsely charged with vague national security crimes, including espionage. These charges, often followed by sham trials, carry prison sentences of 10-15 years. The US State Department yet again listed Iran as a Country of Particular Concern for severe violations of religious freedom earlier this month. 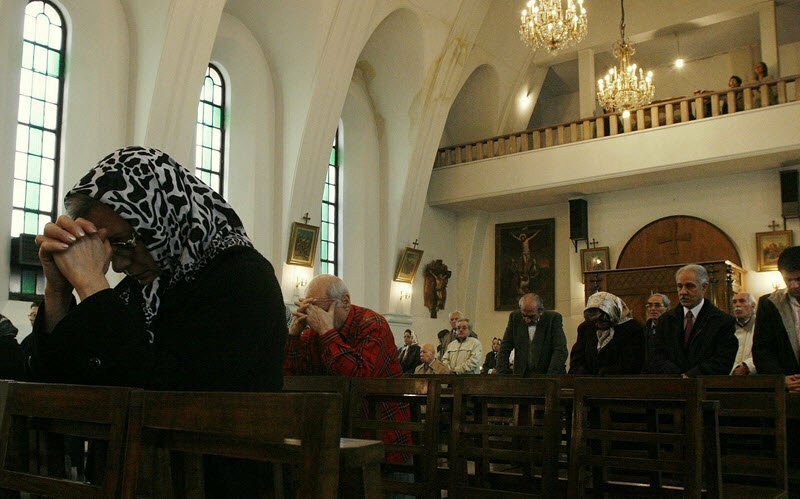 Despite the crackdown, Christianity is growing in Iran with estimates of between 800,000 and 1 million Christian Iranians.